“Vibration damping” has become a popular, often misused, term in many industries including skiing. The most common mistake is grammatical: you build a “damper”; the damper will “damp” ski vibrations; you use water when “dampening” a sponge (which has nothing to do with vibrations). There is no “en” in damping. To recognize whether a claimed technology is actually a ski damper you must understand the different aspects of vibration that can be altered. The three key aspects are amplitude, frequency, and decay. Amplitude is the magnitude of each oscillation. In skiing this is usually measured as the acceleration at which the bent ski returns to its neutral position. Amplitude is sometimes measured as the height that the oscillating ski tip reaches since this is easier to picture, although it is less meaningful. Frequency is the number of oscillations per second. 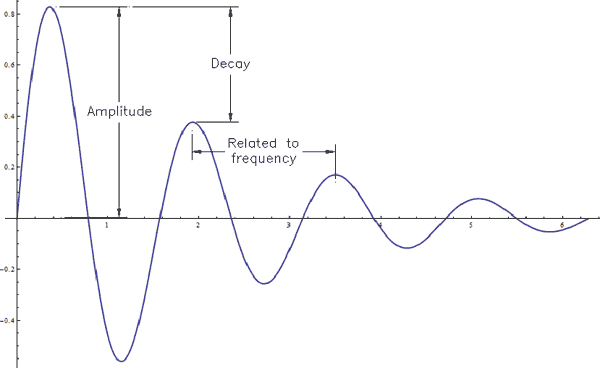 Finally, decay is a measurement of the portion of amplitude that is lost each oscillation. Increasing the decay is the only way to make anything –including a ski– more damp. Decay of a vibrating material is set by a material property called “loss factor.” The loss factor represents the amount of an impact’s energy that will be lost as heat. Adding metal laminates to a ski is a perfect example of how these three aspects of vibration are related. Metal laminates both increase the mass and stiffness of a ski as well as add a new loss factor to the ski sandwich. 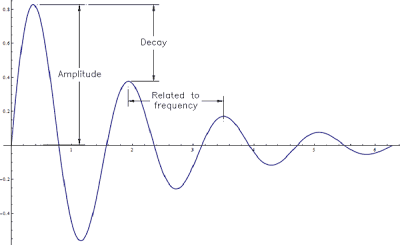 Damped oscillator equations show us that an increase in mass causes a decrease in amplitude, frequency, and decay. An increase in stiffness causes a decrease in amplitude and decay and an increase in frequency. Finally, the contribution of the metal’s loss factor is negligible since aluminum and titanium both have extremely low loss factors (1/15th that of the epoxy resin used throughout the ski). Titanium has especially poor damping and is used in guitar strings for this very reason. Put all of this together and we can see –despite popular belief– that while the metal laminates do decrease the initial amplitude, the vibrations will last for many more oscillations due to the decreased decay and therefore damping. A system (ski) with sufficient decay isn't the only thing to consider though. The frequency of the vibration that is targeted (decayed) is also important. Damping the wrong frequency can produce a ski that feels dead. Its all about good vibrations!